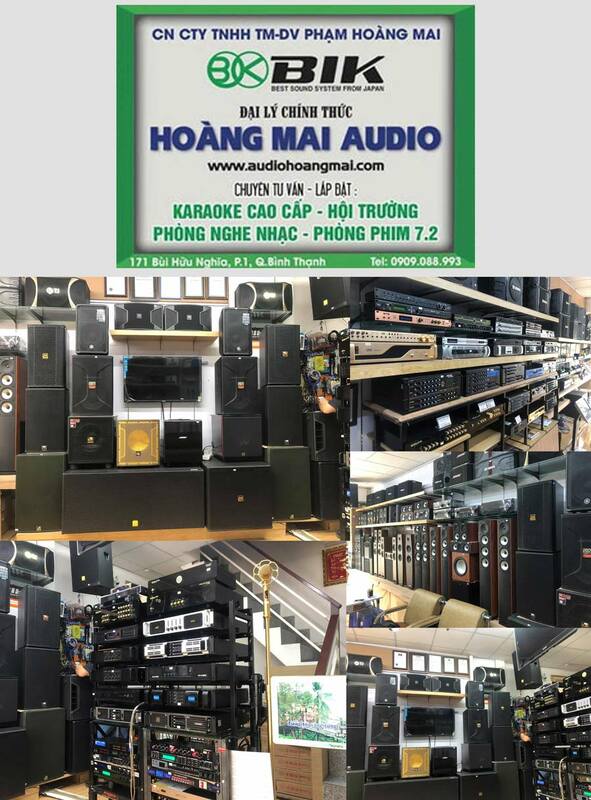 All information is Copyright © 2018 Martin Audio Ltd.
With the new V. Series, Martin Audio engineers have designed a range of premium full-range loudspeakers specifically for small-medium scale entertainment installations and family KTV. Three, passive two-way systems — the V.10, V.12 and V.15 —combine the Martin Audio signature sound of warmth, clarity and smooth response with the vocal presence required for a great Karaoke experience. Each V. Series enclosure features a user-rotatable horn for vertical or horizontal orientation and multiple M8 threaded inserts for easy installation. The trapezoid enclosures are braced internally to reduce panel resonances and improve sonic performance and are finished in a textured black paint, with drivers protected by a perforated steel grille. 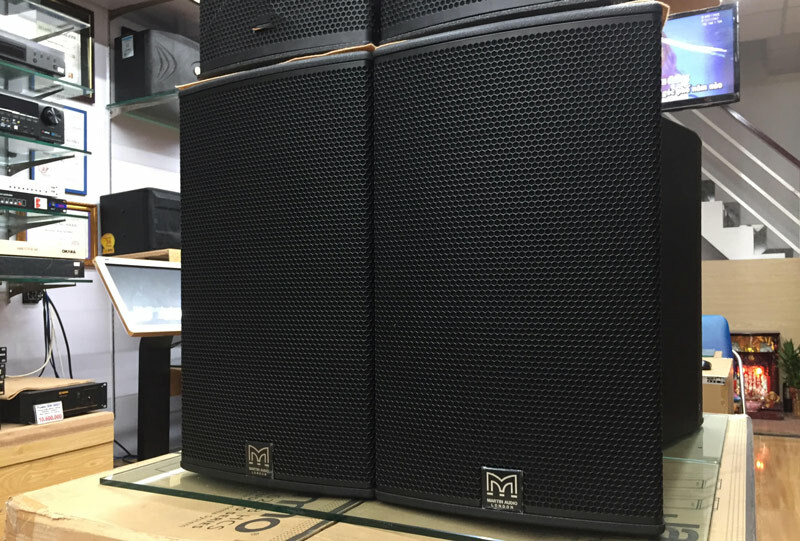 Rear ports couple the low-frequency output to walls or ceiling, producing enhanced bass output that can be felt without the need for additional subwoofers. This is particularly useful where space or budget may not allow for subwoofer support. In addition the LF drivers have demodulating rings providing clear, distortion-free vocal reproduction, even at high SPL. And because KTV loudspeakers can be used at high SPL’s for many hours, internal crossover networks incorporate technology to protect the low and high frequency drivers and assure reliability without interrupting the performance. Premium yet affordable, the V. Series takes the performance of compact entertainment loudspeakers to a new level and brings the celebrated signature sound of Martin Audio for KTV. performance and output from a single enclosure. It features a powerful 15” (380mm)/3” (75mm) voice coil LF drive unit, and a 1” (25mm) exit HF compression driver with a 1.75” (44mm) polyimide diaphragm for extended high frequency response. 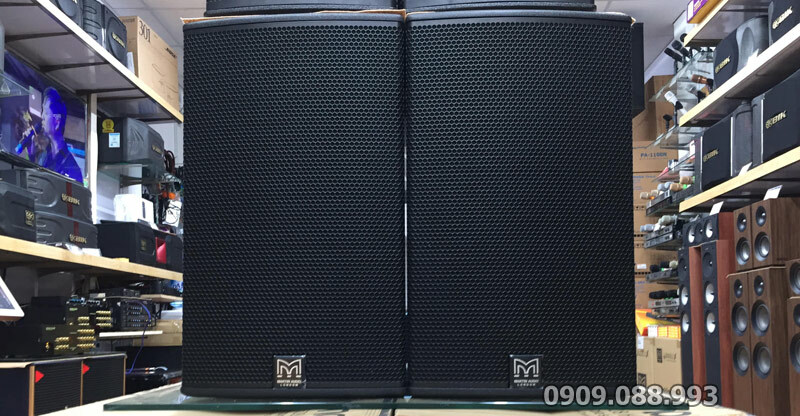 Its 80° x 50° coverage pattern is ideal for medium-throw applications, and it delivers superior vocal performance at very high sound levels without harshness. Twin rear ports couple with adjacent walls and ceiling to enhance low frequency output and extension. The enclosure of the V.15 is constructed from 18mm engineered wood fibre and finished in black textured paint. A cloth-backed protective steel grille protects the drivers, and M8 inserts are provided for eyebolt suspension and installation.